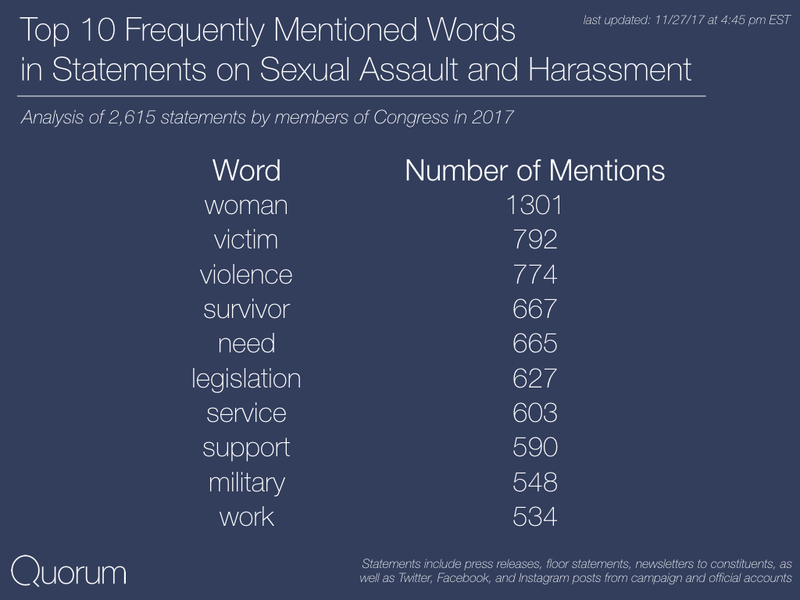 Women, victim, and violence are the most frequently mentioned words in statements on sexual assault and harassment by Congress. 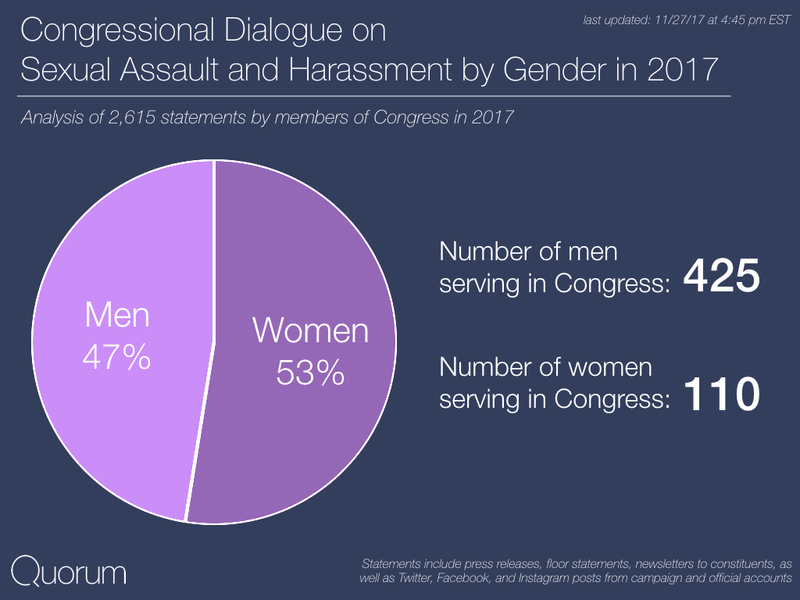 Women make up 20% of Congress and 53% of the dialogue on sexual assault and harassment. So far in 2017, members of Congress have mentioned sexual assault or harassment 2,615 times in statements. Women in Congress account for 1,377 mentions while men in Congress account for 1,238 mentions. Democrats account for 74% of dialogue on sexual assault and harassment compared to Republicans 26%. Of the 2,615 mentions of sexual assault or harassment by members of Congress, 1,922 have been by Democrats and 693 have been by Republicans. 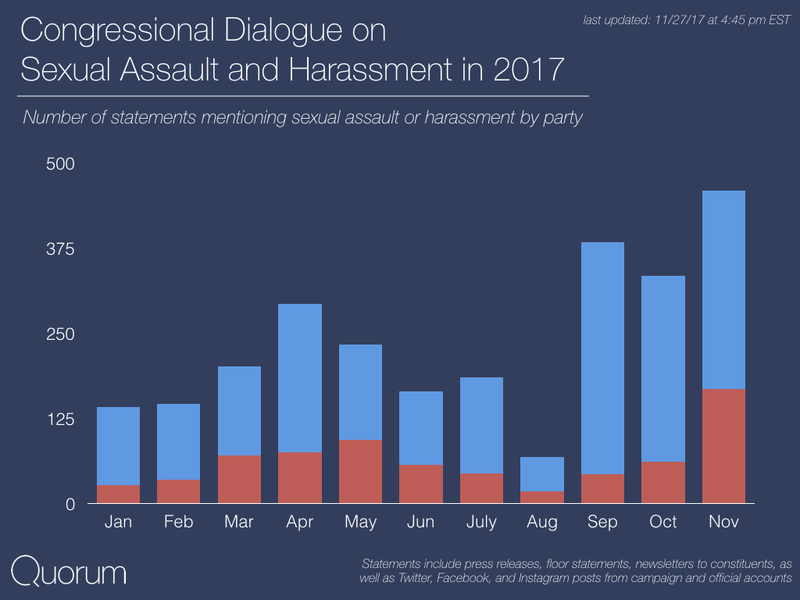 Between January and August, Republicans and Democrats mentioned sexual assault or harassment 1,435 times. Over the past three months, both parties have mentioned the issue 1,160 times.